Backup. Backup. Backup. We can’t say it enough. In an ideal world you would have a local backup, like with Time Machine, and you would have a secondary or even a third cloud backup. Why an online backup? Because local backups don’t protect you in case of theft, disaster, or if you’re constantly on the go with your laptop. With BackBlaze you get access to your files anywhere you need them. Backblaze engineers have been doing backups for years. The problem is they couldn’t get any of their non-technical friends and parents to backup. Every time they encouraged them to try some backup software, it resulted in failure. The programs took too long to setup and asked a bunch of silly questions like “Select your photo directory”. They made it simple and easy. Every online backup program says they are easy to use. It’s almost become cliché. But at Backblaze they really wanted that to be true from start to finish. An example is the install experience. By taking a similar approach to Time Machine and backing up all user data, Backblaze doesn’t have to ask the user to pick a bunch of filetypes and go looking for folders they want to backup. Most users don’t know where iMovie keeps their projects or where their email is kept. Also, they didn’t want users to have to remember to go back and edit their backup list every time they create a new folder. Sure some extra stuff is going to get backed up, but the ease of use and peace of mind is worth it. They wanted a user to download and install Backblaze and be backing up data in less than a minute. Some of the Backblaze team members worked at Apple building great products, so they know how to make great software for Mac. Making high-quality products is in their DNA. We hate using software that slows down our computers, same with the Engineers at Backblaze. They wanted to be sensitive to the performance hit on the computer. Backblaze did a bunch of amazing magic to optimize the software, including: reading data once, slowly scanning the drive, and waiting a few minutes before backing up at start-up time. The result is that Backblaze uses less than 1% of your CPU and memory on average. Backblaze also works great running side-by-side with Apple Time Machine for added redundancy. Stop by mac-fusion to get setup today before you it’s too late. We’ll even help you get started. Q. I keep my photos off my computer and on an external backup drive, I don’t need to worry about that, do I? A. 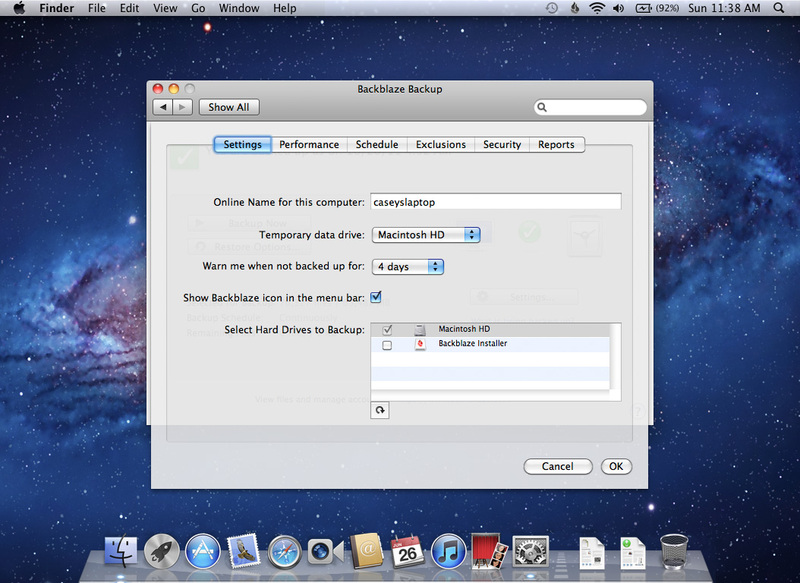 Unless you have a full copy of your photos/or important data on another drive, you don’t have a backup. Your data needs to live in at least two different places to be a backup. Q. Can you sell me a backup drive that won’t fail? A. Unfortunately those don’t exist. There’s a saying about drives “It’s not a matter of IF it will fail, it’s a matter of WHEN”. This is why we recommend two backups of your data. While it is a rare occurrence, in our 18 years of doing this, we have even seen a situation where the computer and backup drive failed at the same time. Q. I have an SSD so I don’t have to worry, right? A. SSDs fail as well. They however are not as susceptible to some of the same external factors that can make regular hard drives fail, such as bumps and falls. SSDs are also much harder to retrieve data from once they fail.